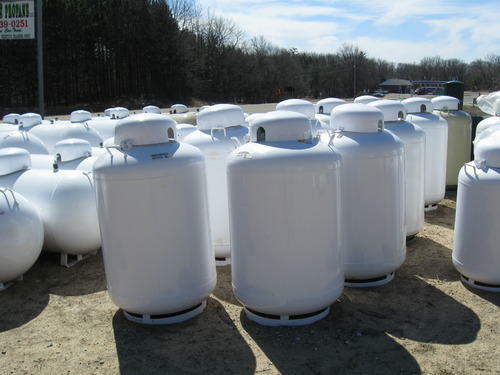 Our expertise lies in manufacturing and supplying a classic range of Propane Storage Tank. The products rendered by us are manufactured using quality tested raw material under the guidance of skilled professionals in accordance with the set international quality standards. In addition to this, clients can avail this product from in varied specifications according to their need at very reasonable prices. Established in the year 1986, at Mumbai (Maharashtra, India), we, “Saroj Technocrats Private Limited,” are counted as the leading manufacturer and supplier of a wide range of Heat Exchanger, Pressure Vessels, Storage Tanks, Industrial Agitators, Industrial Silos, Air Filters and Distillation Columns. Our offered range includes MS Heat Exchanger, SS Heat Exchanger, Tube Heat Exchangers, Air Cooled Heat Exchangers, Heavy Duty Pressure Vessels, etc. We design and manufacture these products using premium quality raw material, sourced from the well-established vendors of the industry. These products are widely demanded and appreciated by our clients, owing to the features like fine finish, optimum quality, durability and reliability. We manufacture these products in compliance with the set international quality standards in our high-tech manufacturing unit. Our precious clients can avail these products in various specifications as per their specific requirements and at highly competitive prices.